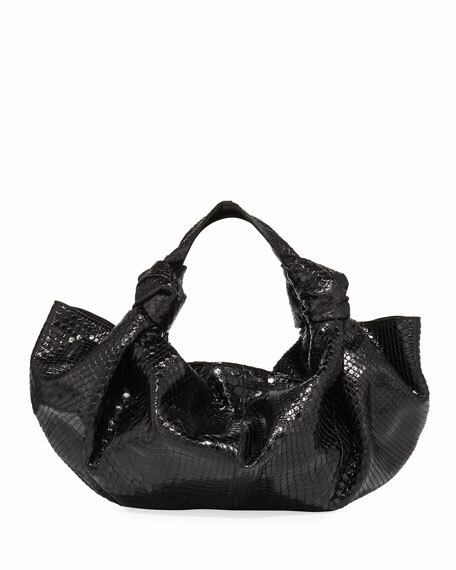 THE ROW handbag in python with leather trim. Flat top handles knotted at ends. 6"H x 10.4"W x 3"D.
"The Ascot" is made in Italy.